CenCon, LLC is a full-service utility contractor, serving clients throughout Kansas, Nebraska and Wyoming. Established in 1979, we’re experts in utility planning, contracting and placement, as well as directional drilling, trenching, potholing and boring. Our experience extends to both residential and commercial properties, and we can work with municipalities and private sector contractors alike. Our company is equipped with all of the expertise and equipment needed to provide tailored underground utility construction in Nebraska. 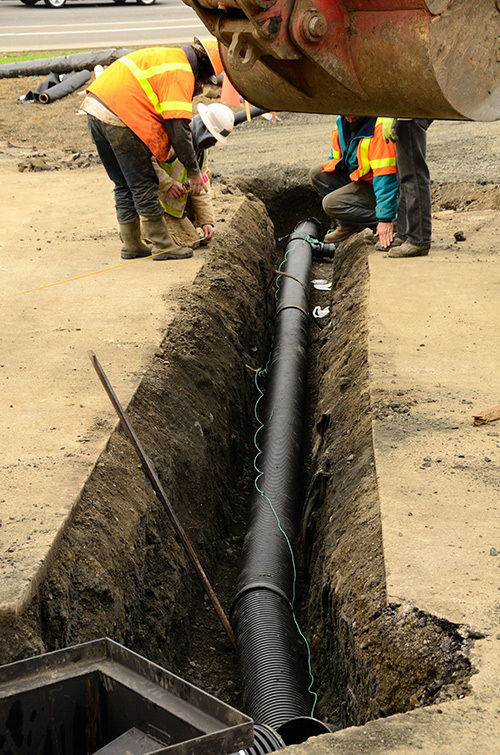 Not only do we offer standard boring and trenching, we can also adapt our installation process around the demands of each jobsite. Call on us for potholing services where traditional excavation isn’t possible, as well as directional drilling where applicable. We can even drill through solid rock! Whatever it takes to get your utilities in the ground properly, count on us to get the job done. We’re experts when it comes to fiber optic installation and repair, alongside a full range of additional telecommunications systems such as coax and copper. Our business is family-owned and -operated. Owner Erik Franklin is on-site for most jobs, to make sure they’re done right! We’re experienced in working with water, gas, electric and data communications utilities, making us an all-in-one contractor for your site’s entire scope of installation needs. Our abilities include directional drilling, enabling us to provide services on sites where traditional boring or trenching may not be applicable. We also offer potholing. We always strive to leave behind a clean jobsite and keep ourselves aware of the entire site while we’re working, to minimize any mess or hazards. No matter the scope of your utility installation or repair project, count on CenCon, LLC. We tailor our extensive range of abilities to meet your needs fully and completely.